A megathrust earthquake in the Nankai Trough threatens to devastate the southeastern coast of Japan. Rural Japanese towns are not fully benefiting from the inbound tourism boom. Young people are escaping to the cities, leaving a dwindling senior population to run Japan’s agricultural industry. Meanwhile, residents of Fukushima — an area devastated in 2011 by an earthquake and tsunami followed by a nuclear power plant disaster — are still working on rebuilding their region. 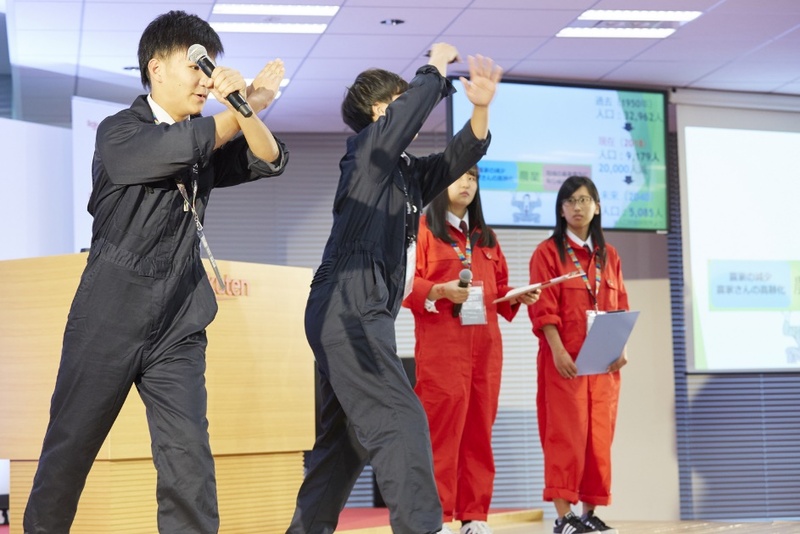 These are some of the serious social challenges that the high school students participating in Rakuten IT School NEXT are looking to address. 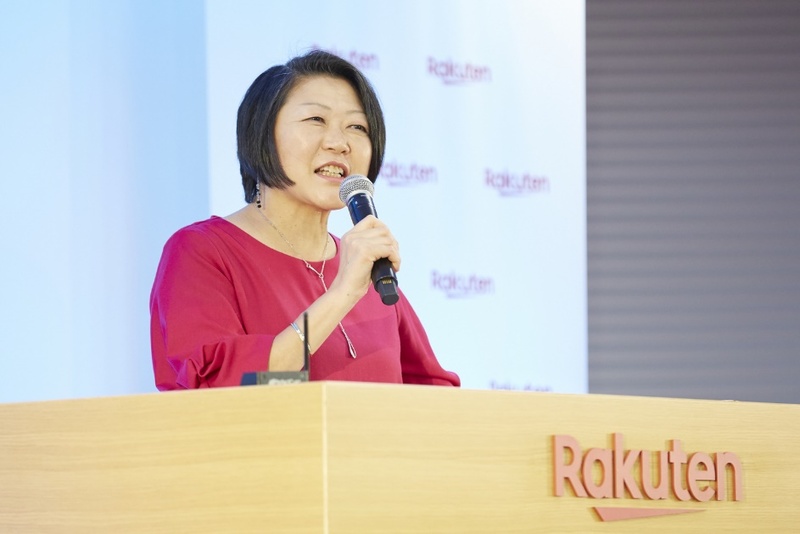 The program is a continuation of the long-running Rakuten IT School program, a sustainability initiative which focused on leveraging Rakuten’s resources to teach IT and business skills to students in rural areas. This year, IT School NEXT has evolved to shift its aim to something even more ambitious: solving local issues in the community. 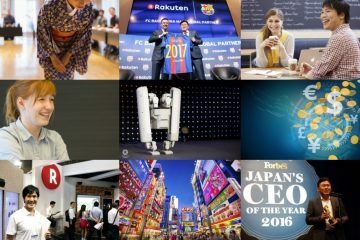 In August 2018, Rakuten employees visited ten regional high schools around Japan, where they ran workshops on solving community issues. The students split up into teams and headed out into the community to interview locals. 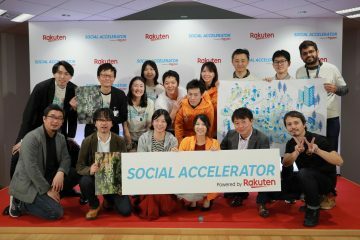 The teams then worked with Rakuten employees to propose innovative solutions to the issues they discovered, creating presentations to communicate their ideas. 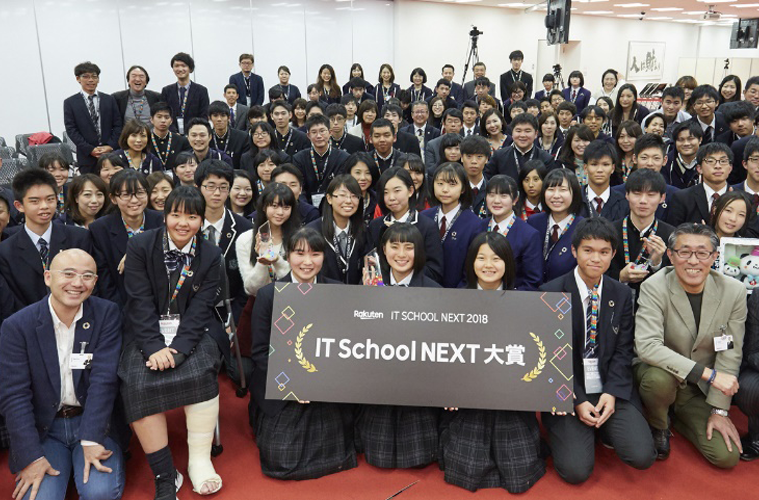 In November, the most compelling presentation was picked to represent each school at the finals in Tokyo. Hida-Kamioka in Gifu Prefecture is considered a sort of bellwether town for Japan’s demographic future. Around 40% of the population are senior citizens, reflecting the projected future of Japan as a whole, and more and more local businesses are shutting down. The team from Hida-Kamioka High School looked at ways to encourage older people to use smartphones to communicate the region’s natural beauty and foster a stronger sense of community with the surrounding areas. The team from Hiroshima Prefectural Yuki High School proposes innovative uses for abandoned agricultural land. Meanwhile, the Hiroshima Prefectural Yuki High School looked at the implications of depopulation for agriculture. Around 40% of farmland in the town is abandoned, and the local population is just a third of what it once was. The team proposed to utilize the abandoned land to offer a “shared farming experience,” in which both local young people and tourists can experience growing produce on a small scale, aiming to stimulate interest in the agricultural lifestyle. Students from the disaster-struck regions of Fukushima and Kumamoto also made presentations. Fukushima in particular suffers from severe reputational damage following the nuclear disaster in 2011, and while residents are gradually returning, the region still has trouble attracting local investment. The Futaba Future High School team took home the “Impact Prize” for their proposal to use their newly rebuilt school facilities to create a space for bringing younger and older residents of the community together. Wakayama Commercial High School presents on the potentially devastating effects of a Nankai Trough earthquake. 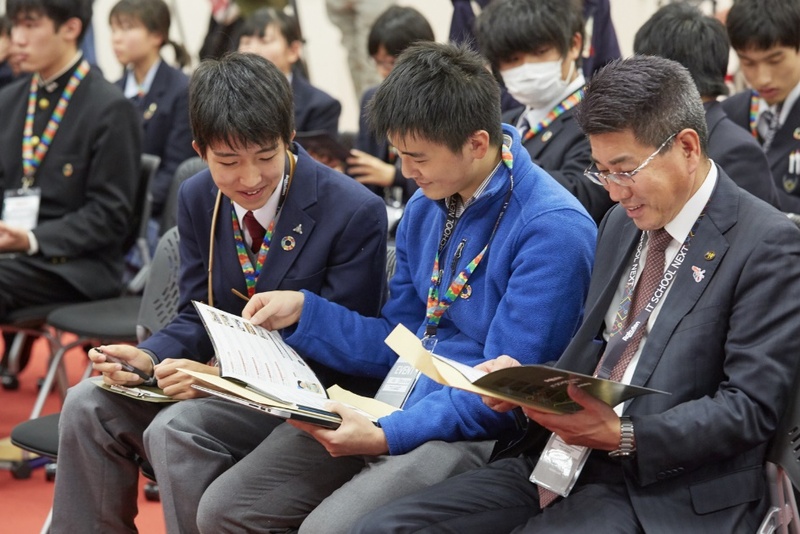 The students’ choice prize went to the Wakayama Commercial High School for their proposal surrounding a potentially devastating earthquake in the Nankai Trough and the resulting tsunami. 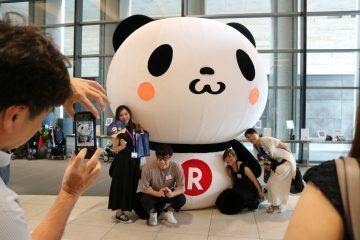 The team’s proposal involved an app utilizing Rakuten’s ID system to ensure correct, up-to-date and secure information for evacuees and efficient deliveries of supplies to affected areas. 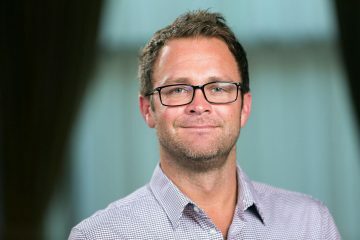 “It was really difficult to plan for something we have never experienced,” the team commented, noting that many students in the audience had indeed already experienced what they were preparing for. Japan welcomed over 30 million tourists in 2018, and more growth is on the horizon. 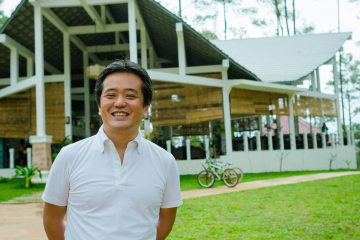 Japan’s rural towns are looking for ways to welcome tourists that will result in a positive impact on the economy without disrupting the local lifestyle. The city of Onomichi, near Hiroshima, is facing this very challenge as international tourists flock to the town to explore the region’s many temples. “Tourist numbers have increased by 1,131% over the past 10 years,” the team from Onomichi Commercial High School explained. But tourists were not staying at local hotels, and were only spending an average of 4,000 yen in the town, compared to 60,000 yen in nearby tourist hotspot Kyoto. 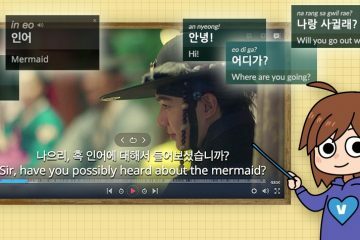 They determined the problem to be a lack of information about the town available in foreign languages, and made a proposal to use Rakuten-owned tour experience service Voyagin to plan out multi-day itineraries for foreign tourists. Think globally, act locally: Lively discussion among participants. 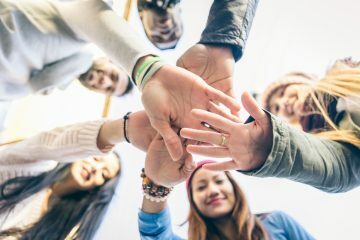 The students’ proposals utilized a wide variety of Rakuten services to help solve regional challenges, but it may have been the volunteering Rakuten employees who left the biggest impact. 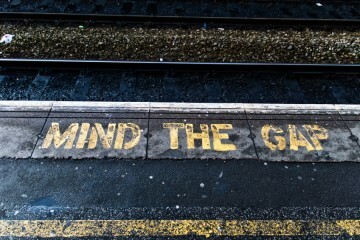 Kaoru Nemoto, director of the United Nations Information Centre in Tokyo, shares comments on Sustainable Development Goals and the importance of addressing local issues. 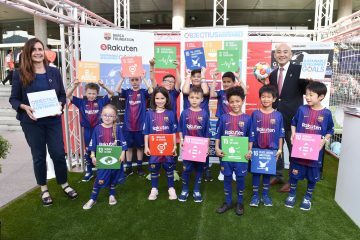 Raising awareness of SDGs is a major goal of Rakuten’s Sustainability Initiatives. 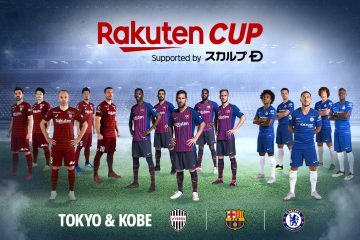 Efforts by the company have included a joint campaign with FC Barcelona, Earth Mall with Rakuten and the Rakuten Social Accelerator. 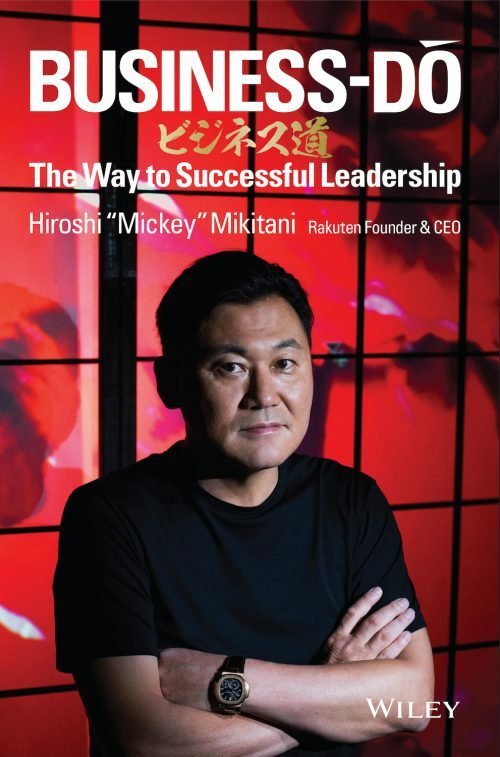 Masatada “Seichu” Kobayashi, co-founder and Chief People Officer of Rakuten (center) and members of the judging panel. 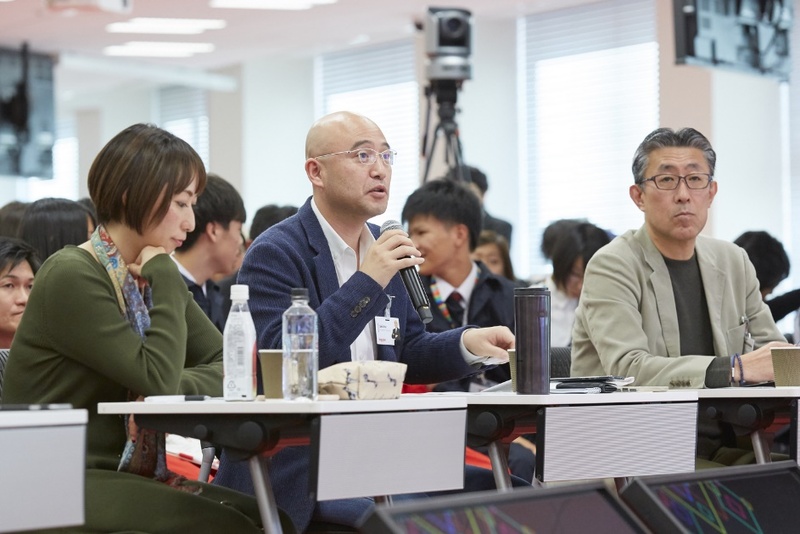 The presentations were assessed by a panel of five judges, including Rakuten co-founder and Chief People Officer Masatada Kobayashi, who emphasized that the world is watching as Japan solves demographic challenges that other countries will eventually face in the future. 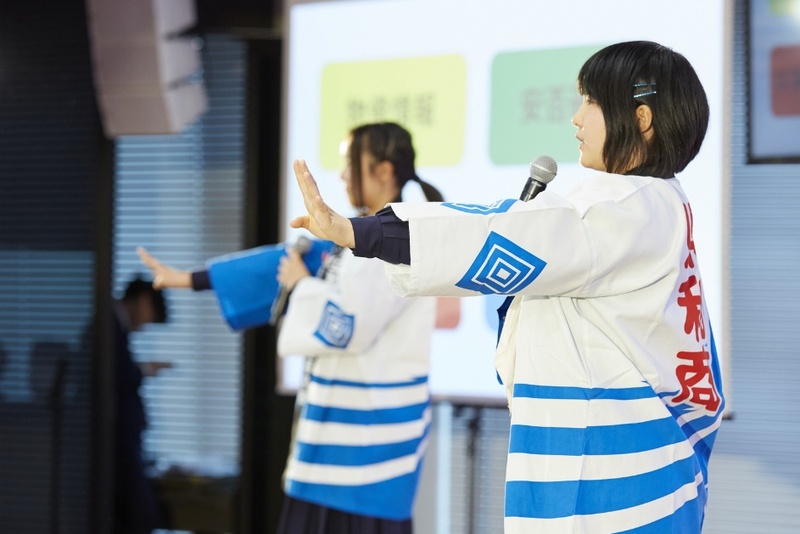 Presenters from Kochi Prefecture’s Susaki High School jump to some interesting conclusions on how the aging population and local communities can better work together.